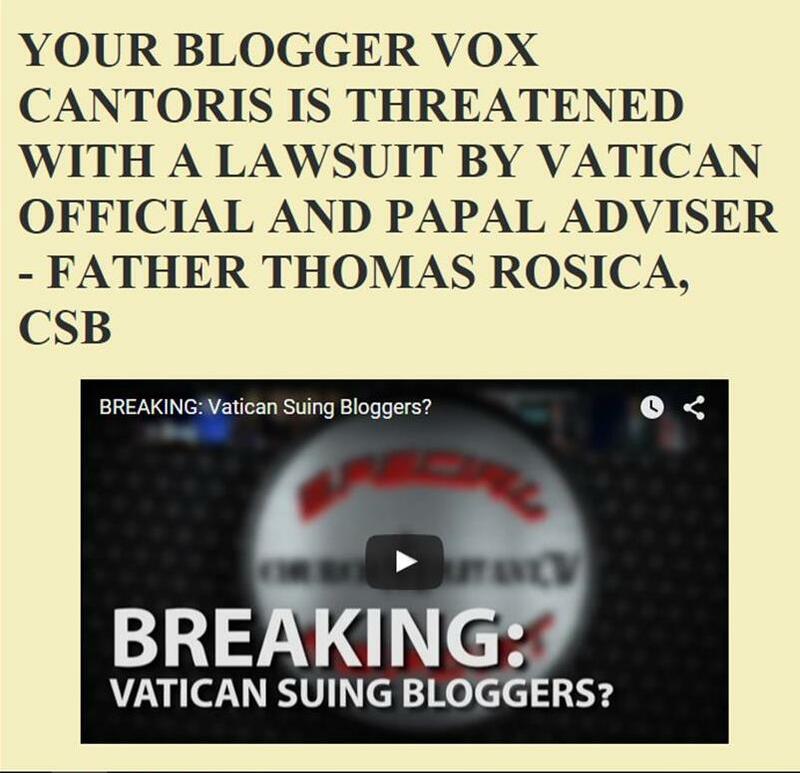 Vox Cantoris: Bergoglio didn't know who Kim Davis "really was," But he sure knew who Emma Bonino was! Bergoglio didn't know who Kim Davis "really was," But he sure knew who Emma Bonino was! According to this Tweet by Tom Rosica, Antonio Spadaro has said that "Francis didn't know who Kim Davis "really" was." How tragic that these supposed men of Christ have so degraded the public image of Kim Davis, who while not a Catholic, confesses Jesus Christ as her Lord and Saviour. Yes, let's throw Kim Davis under the bus. Well, Jorge Mario Bergoglio sure knows who Emma Bonino is. If he didn't then it was up to Spadaro to "protect the pope" from meeting with such people giving scandal to the faithful and encouraging them in their evil. Spadaro is a hypocrite, a real Pharisee and clericalist. Jorge Mario Bergoglio is an evil man. He is not the "Holy Father." He is an enemy of Our Lord Jesus Christ and an enemy of you and me. This is a superb point, Vox. You've cut through the waffle, deflection, the "whataboutery". Wait... are you declaring yourself sedevacantist? He probably wasn’t familiar with both people but we do know from Viganò that he was informed about Davis. No, he is the "Pope" according to the Law. It is the title, I am commenting on, he is not "holy" nor is he my "father." Preach it Vox.May the good lord guide you and protect you as you go against the true enemies of Christ within the Church! Is there a difference between who Kim Davis is and who she "really" is? 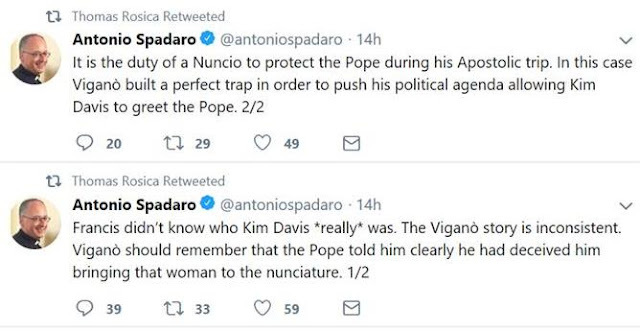 Antonio it is possible he didn't know who Kim Davis was before Abp Vigano explained it to him. After that there was no excuse. And if he wasn't familiar with one of the most prominent supporters of baby killing, murder of the elderly, and 'marriage' of perverts in Italy (which I doubt! ), someone in his Household might have mentioned that she was a Servant of Satan promoting the Culture of Death!